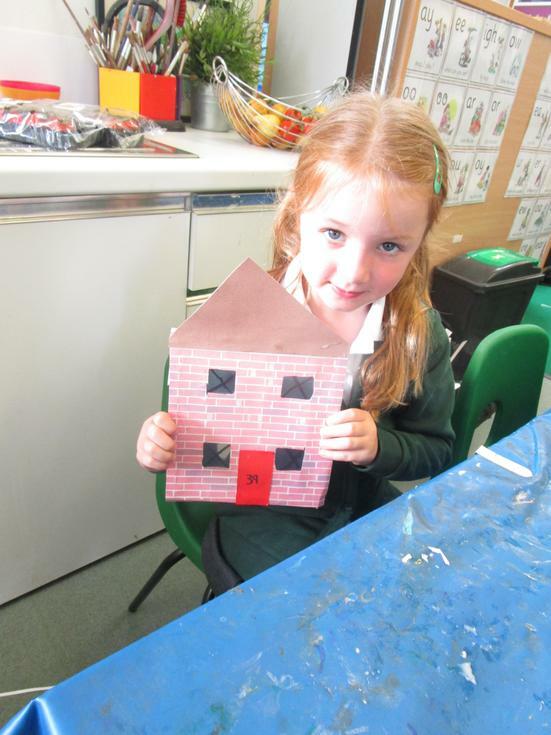 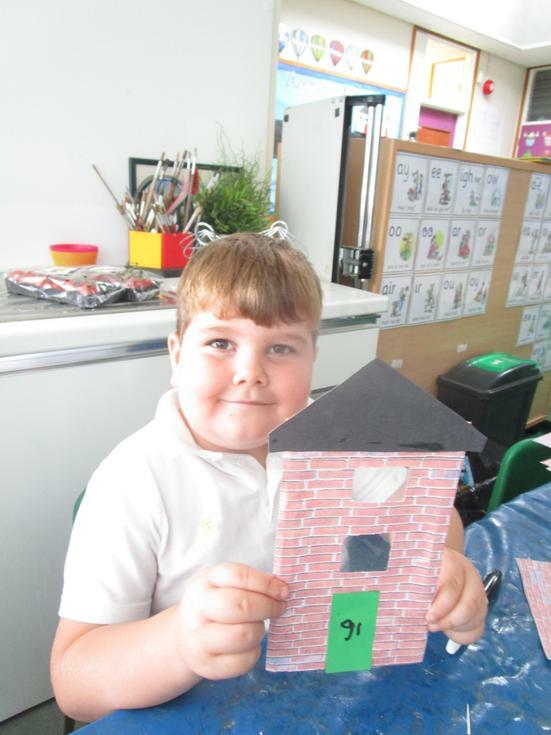 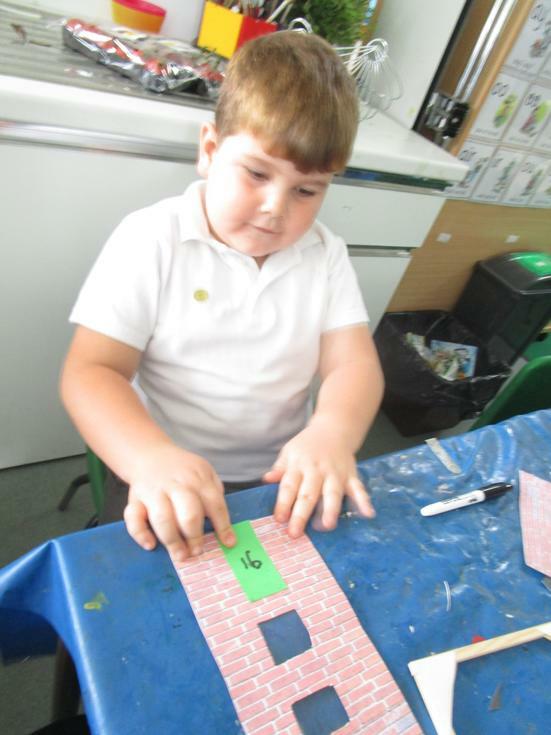 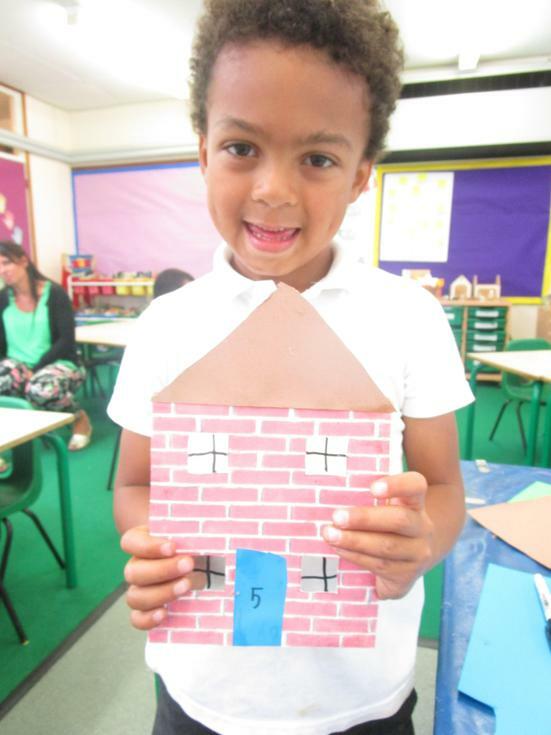 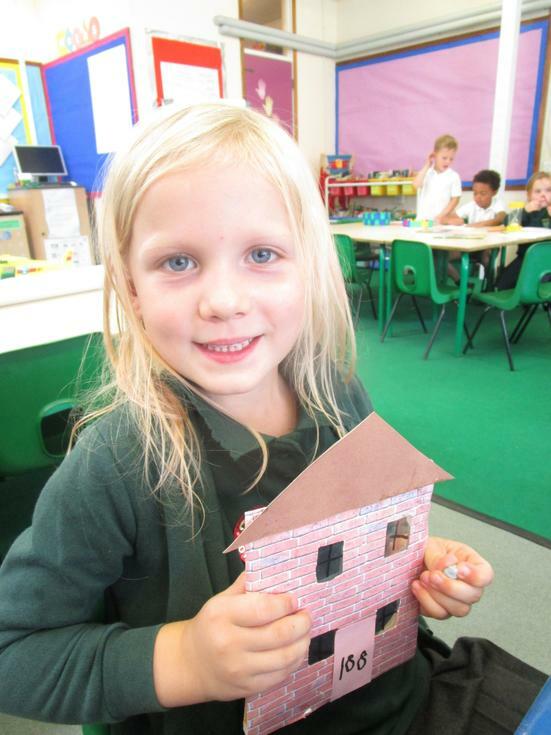 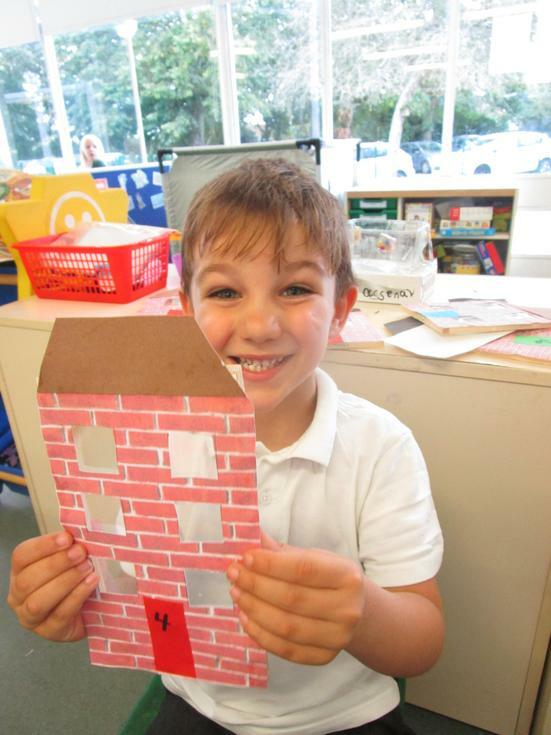 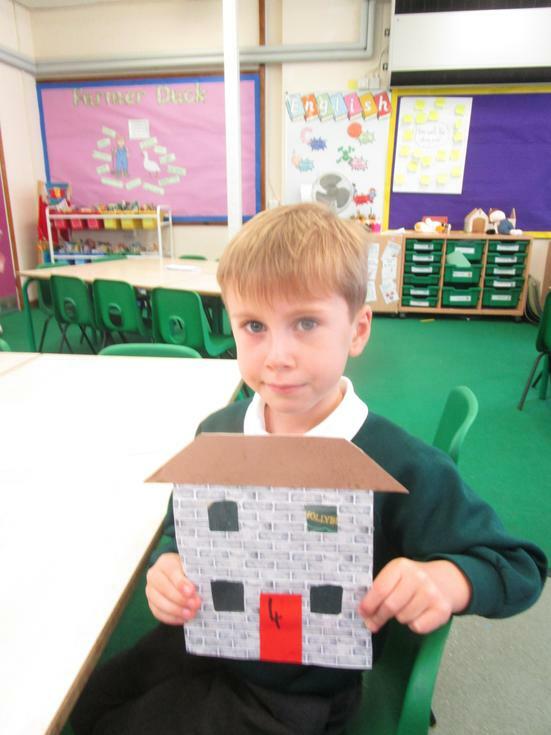 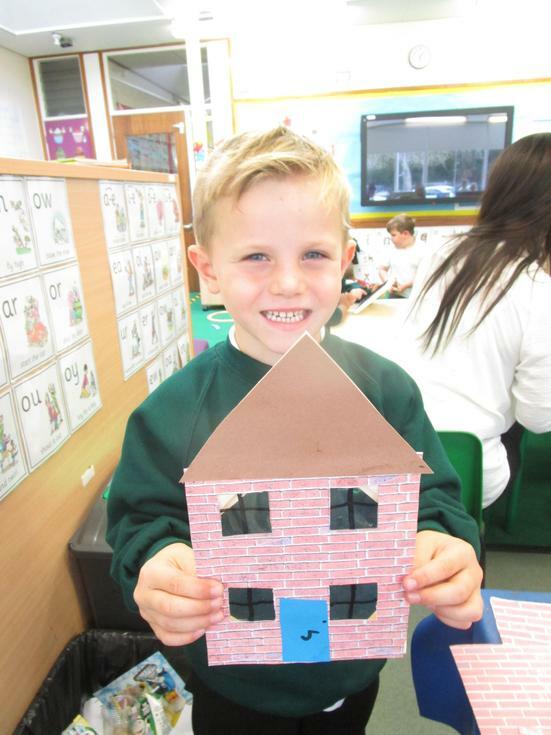 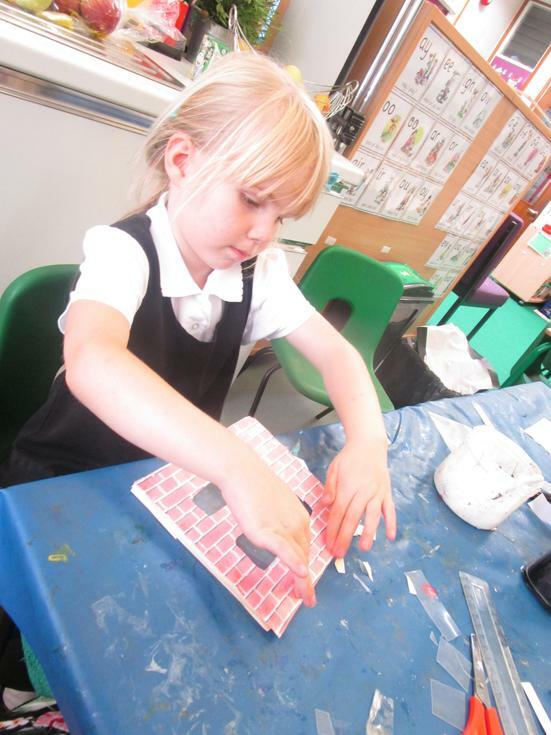 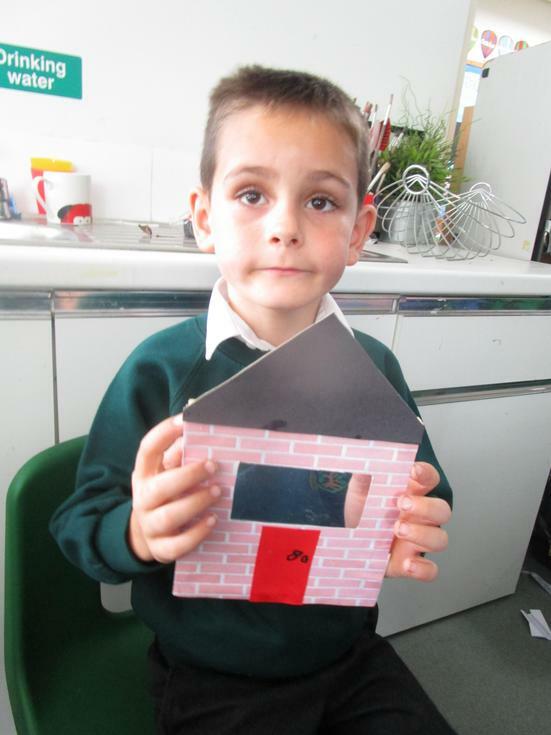 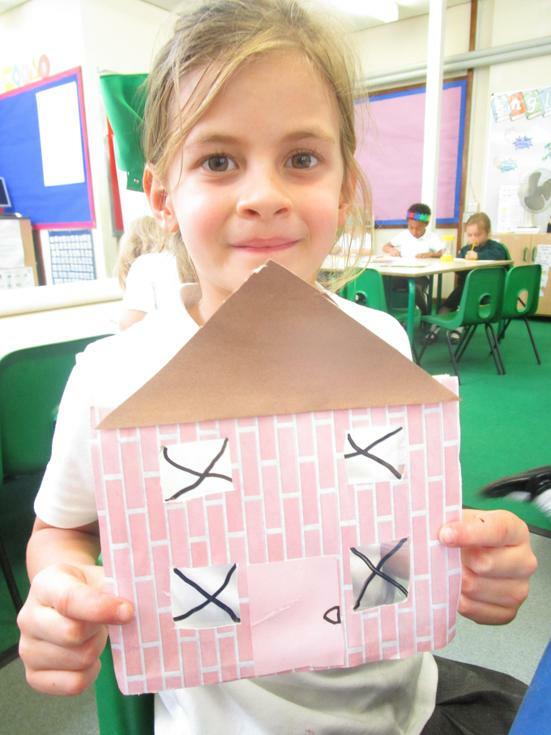 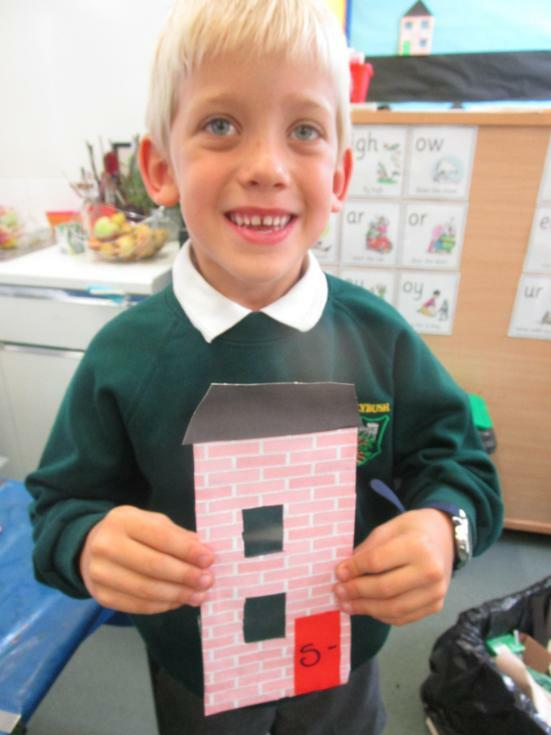 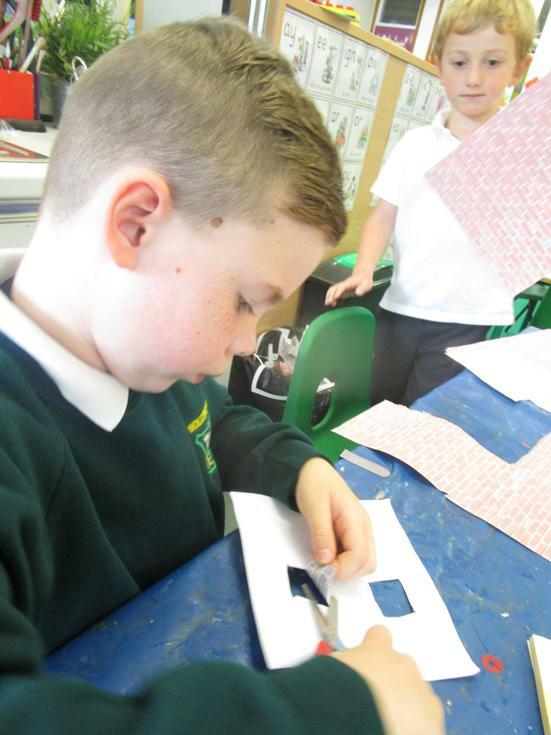 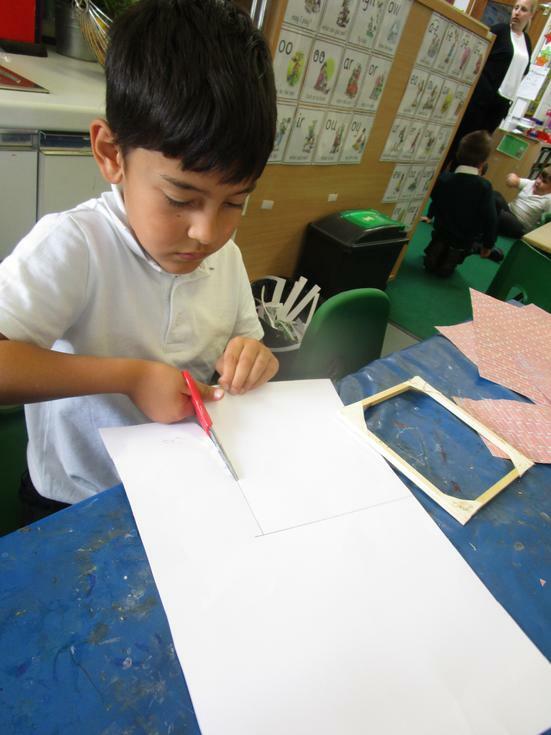 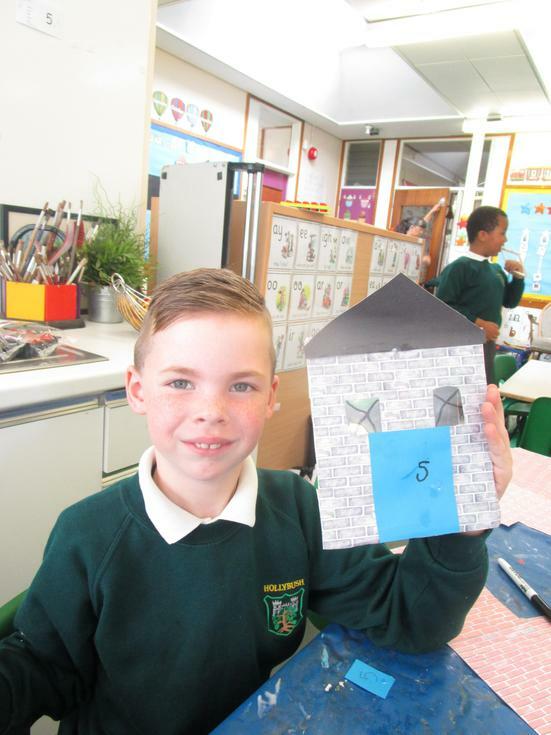 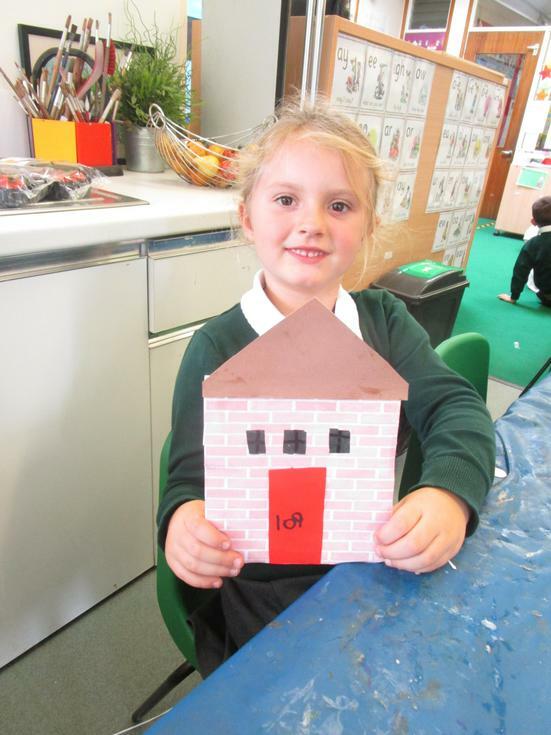 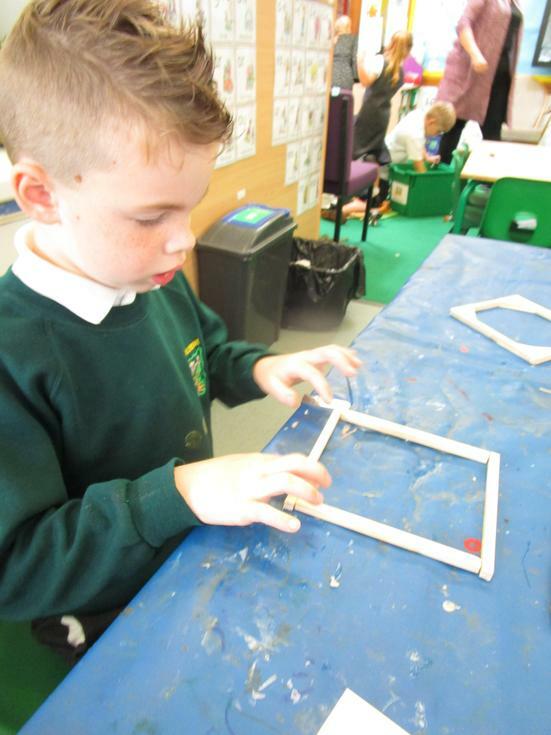 In our D&T lessons this half term, we have been designing and making our own wooden frame houses for our topic 'The Streets Around Us'. 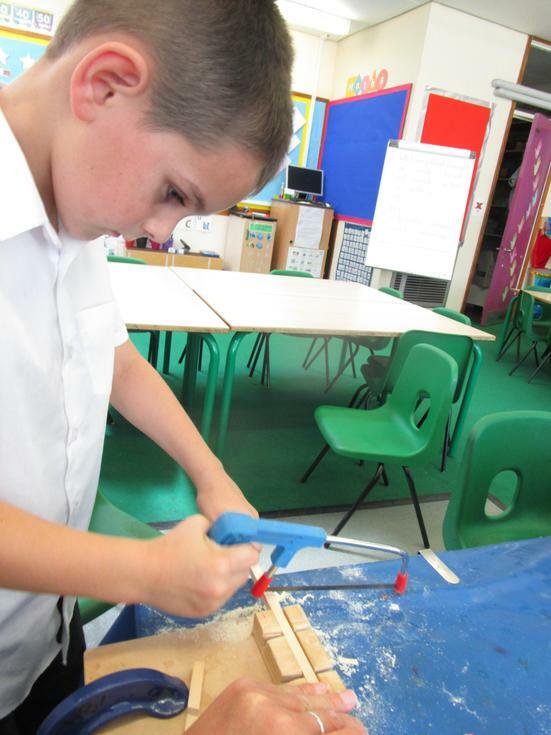 We accurately measured wood and then used a hack saw to carefully cut it. 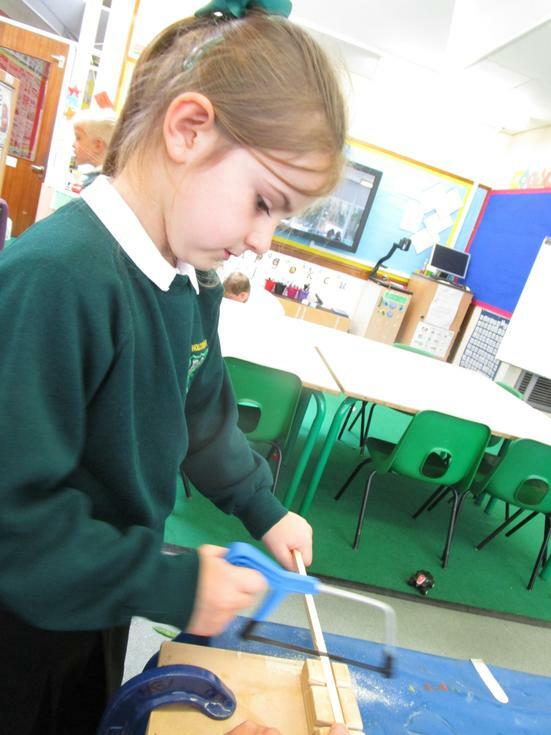 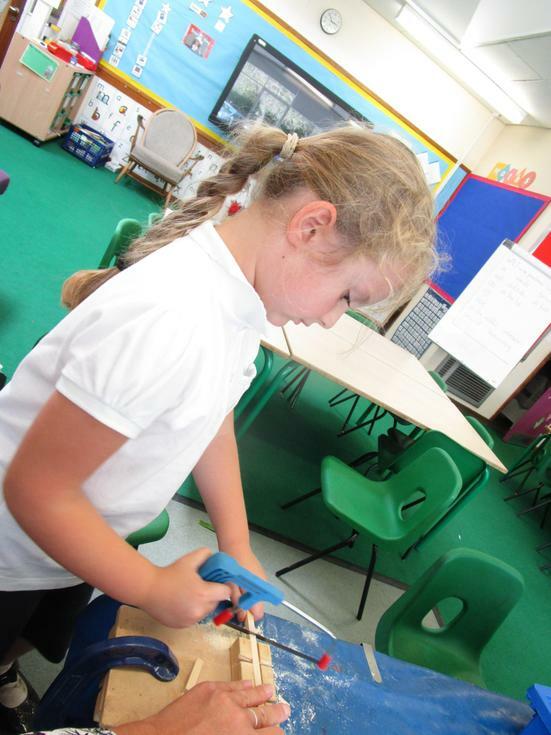 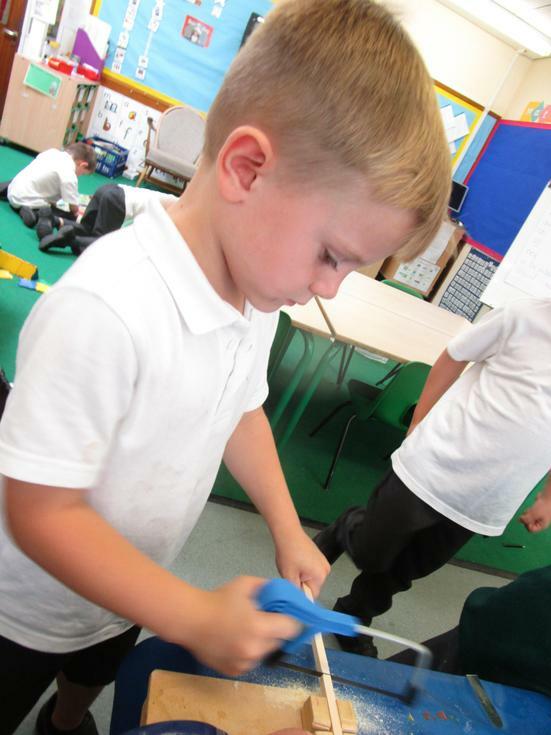 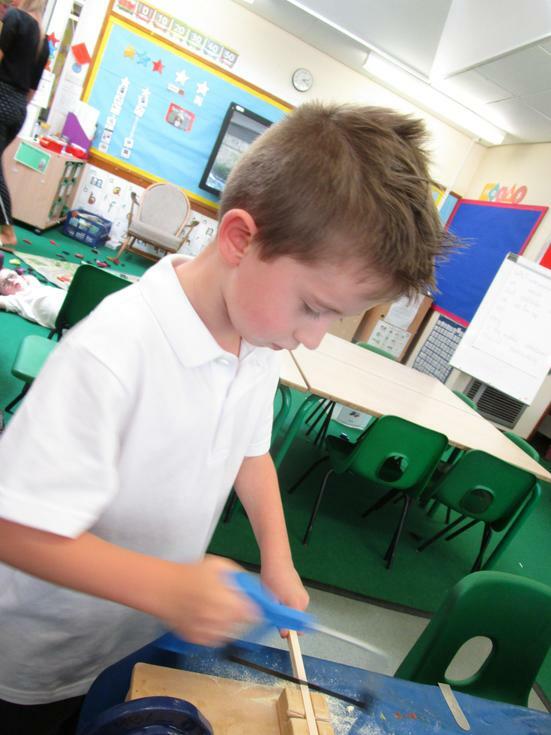 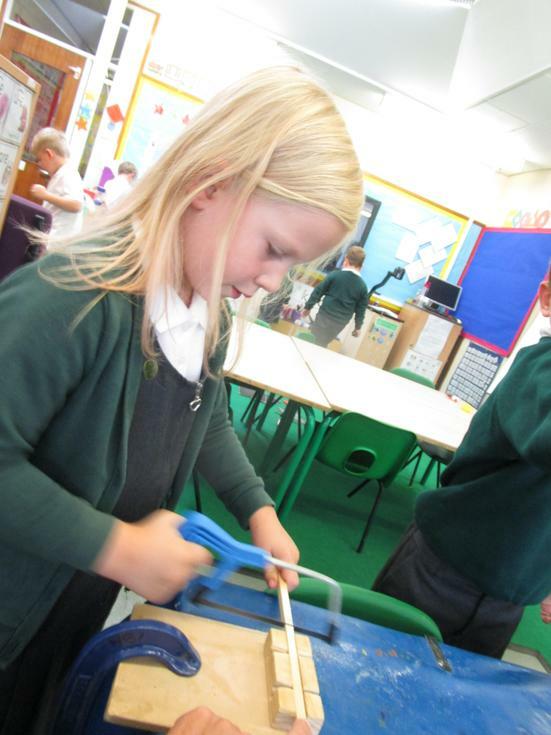 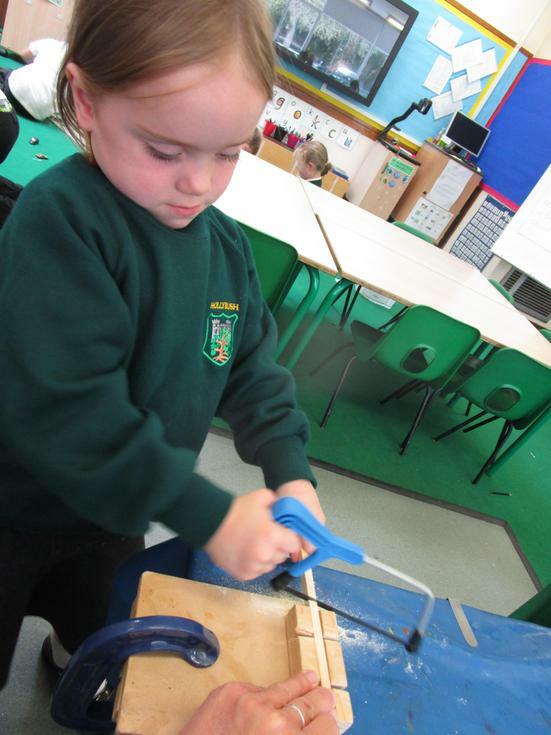 We learnt all about how to keep safe when we were using a saw. 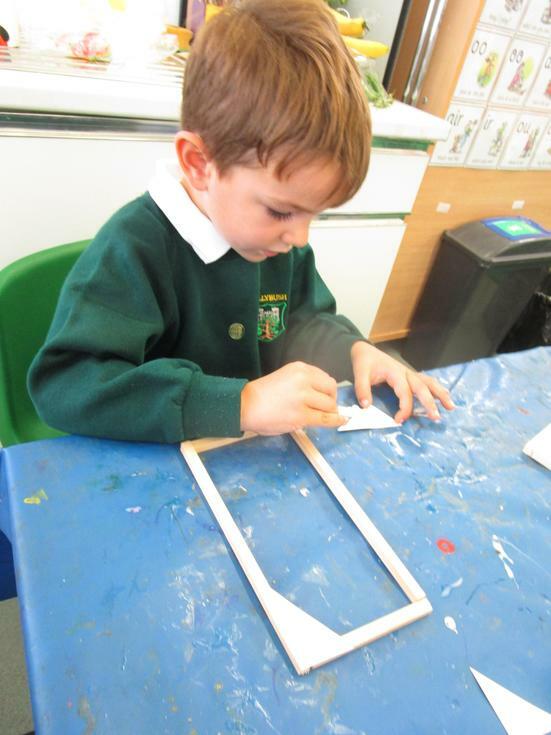 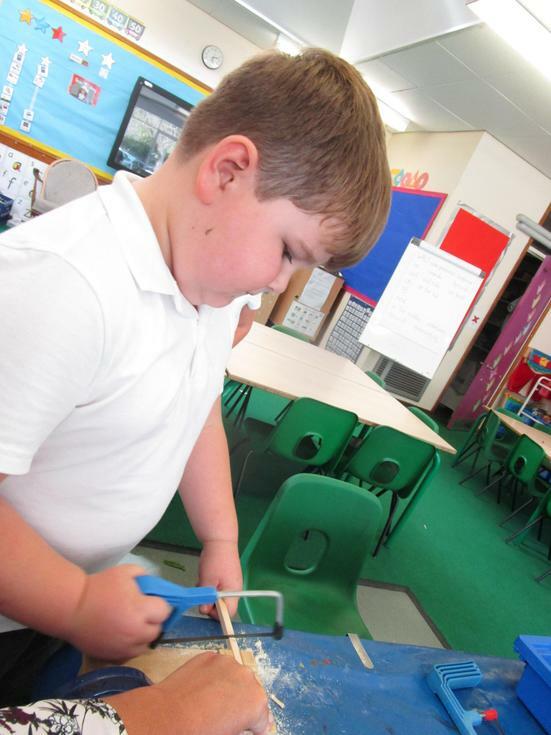 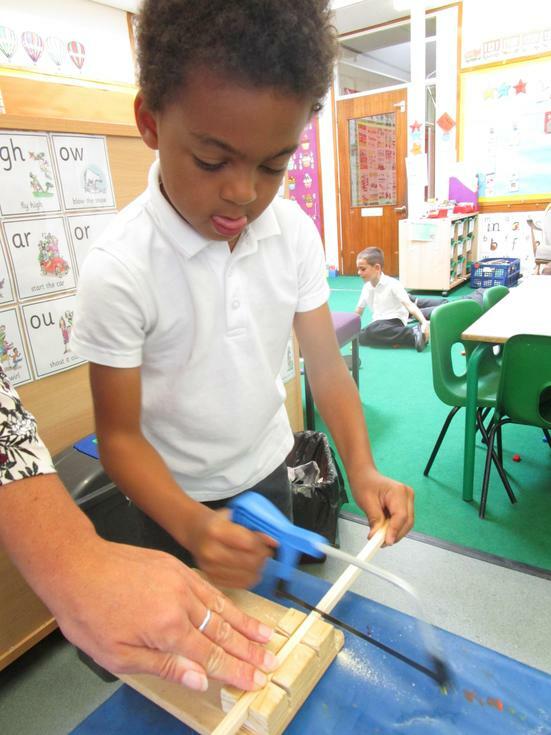 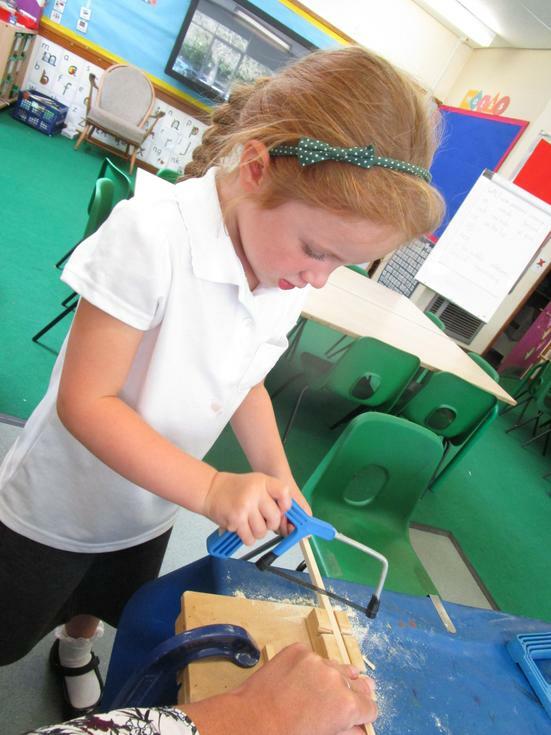 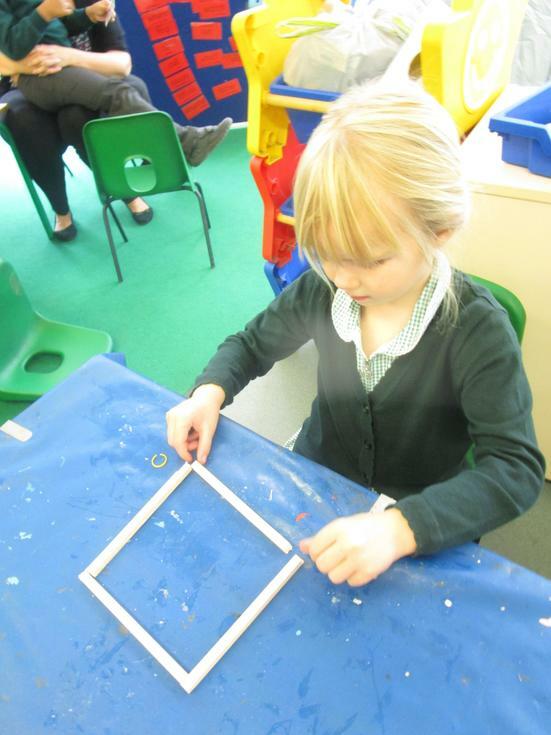 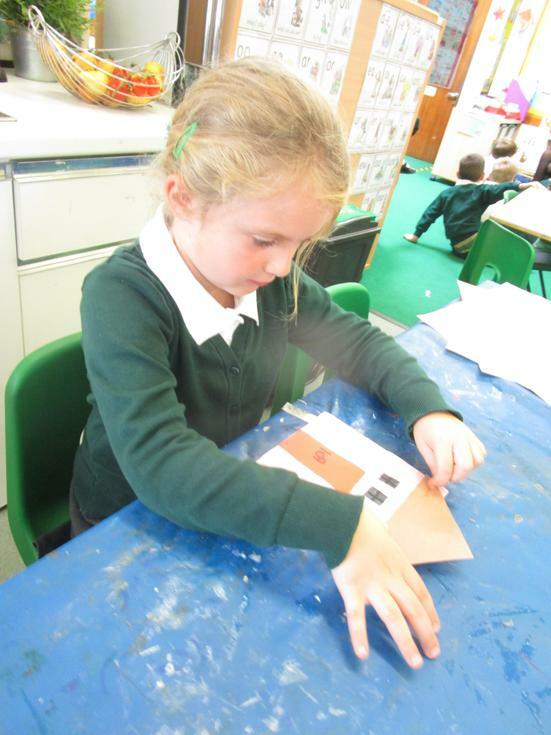 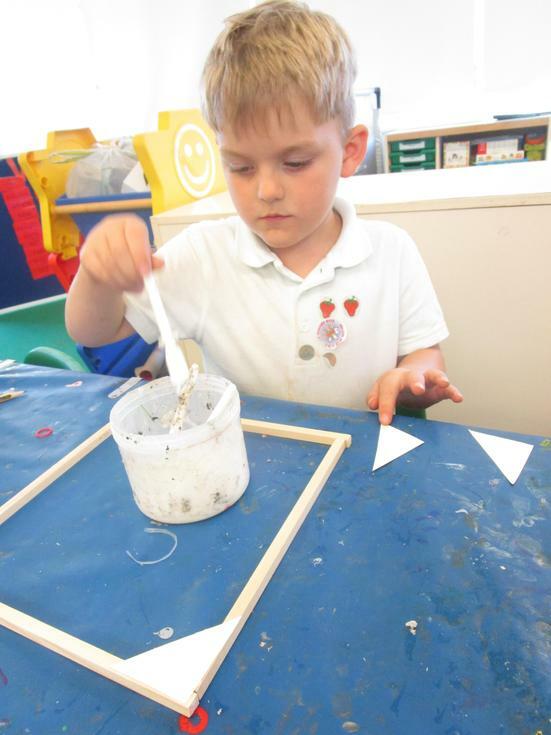 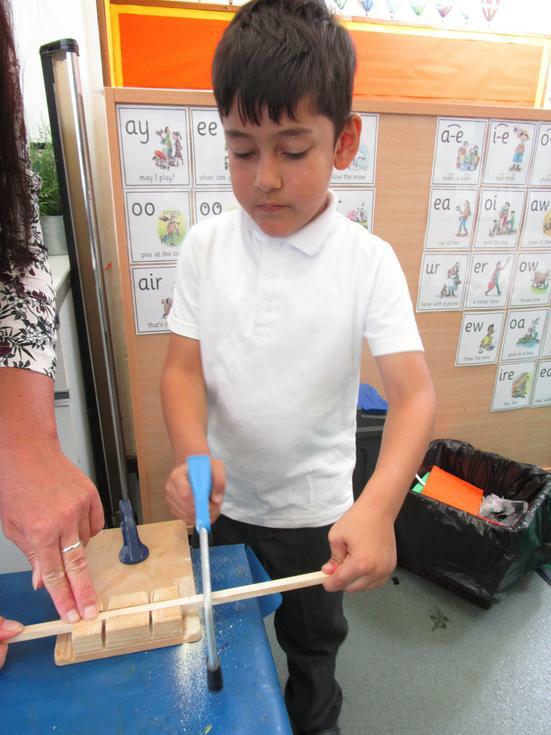 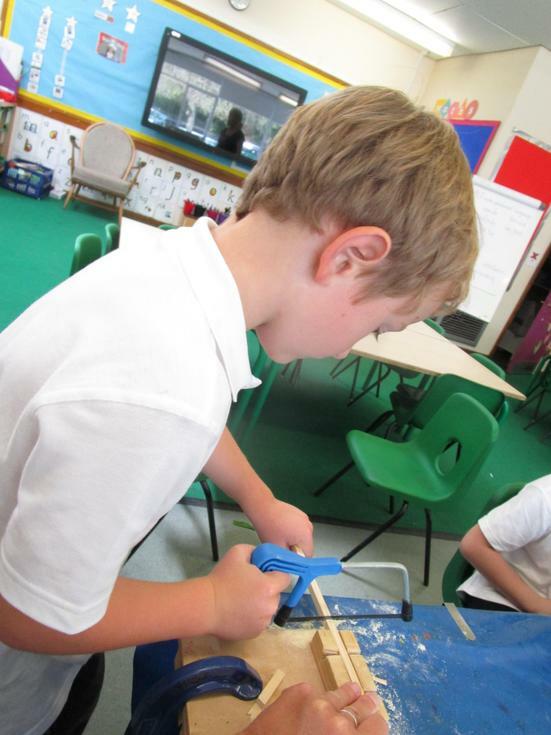 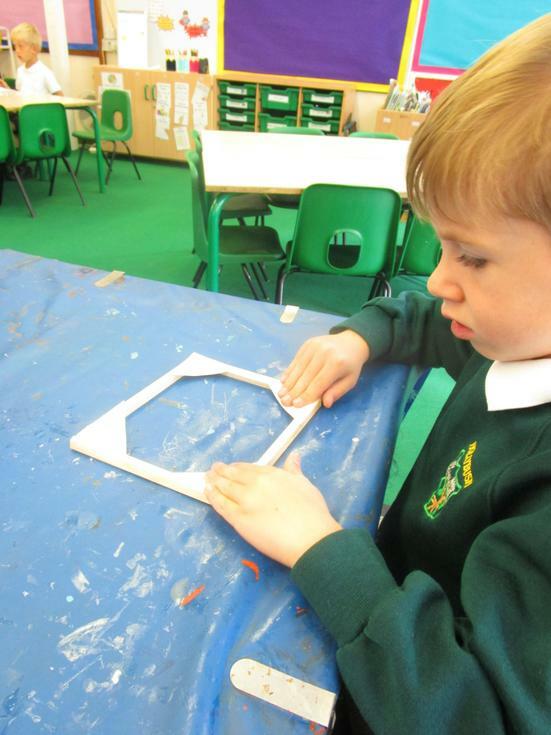 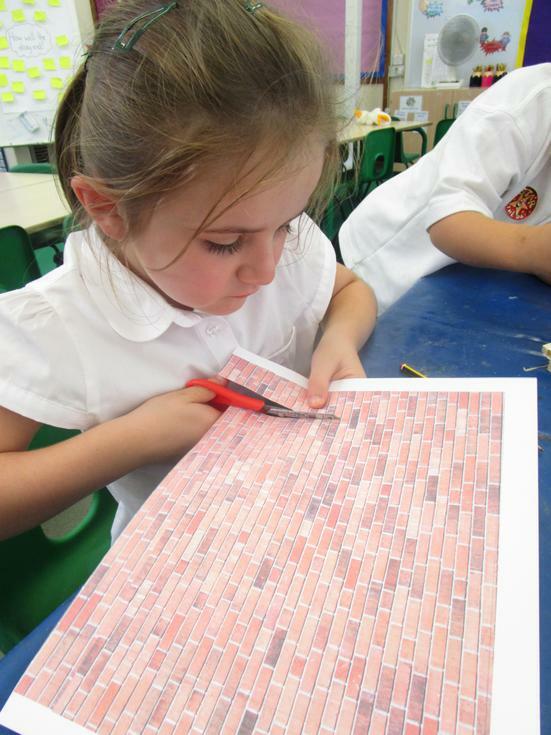 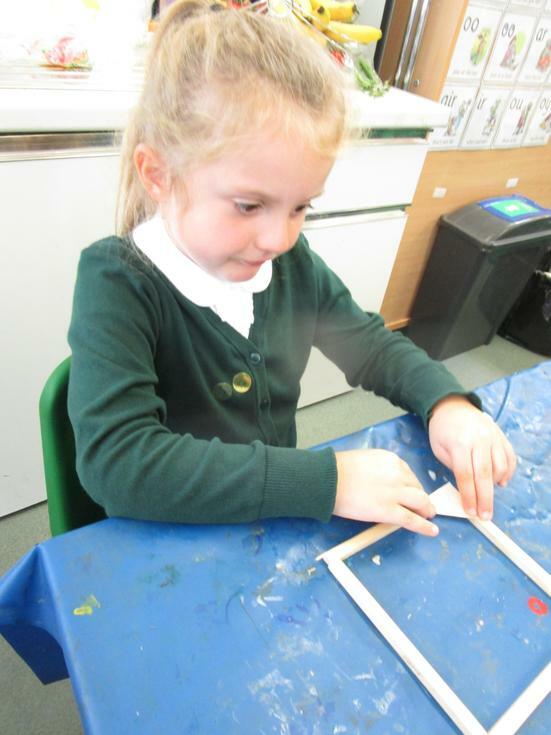 Next we joined the pieces of wood together to create a wooden frame. 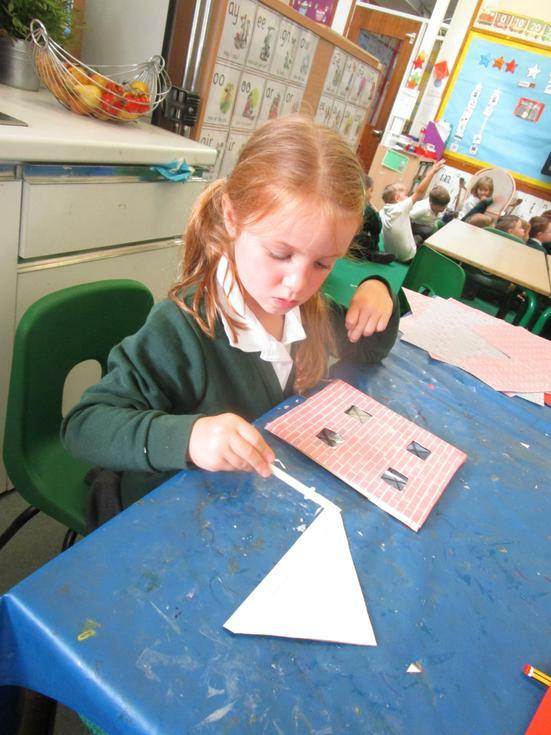 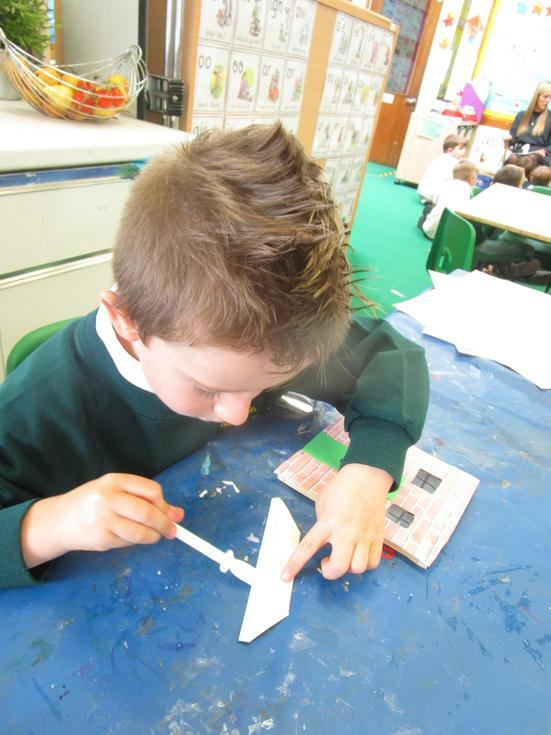 We then strengthened the corners by adding triangles of card. 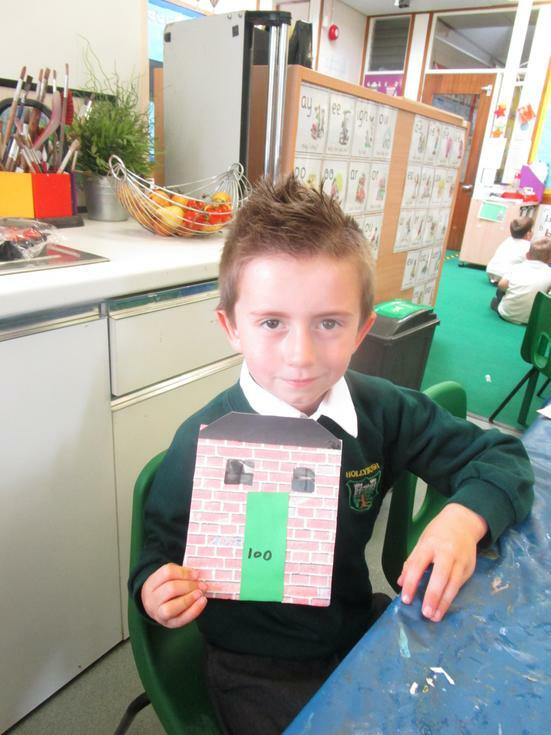 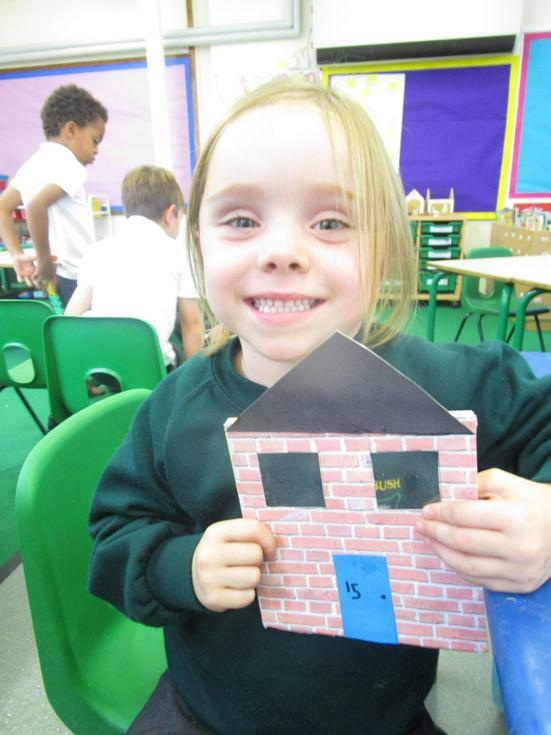 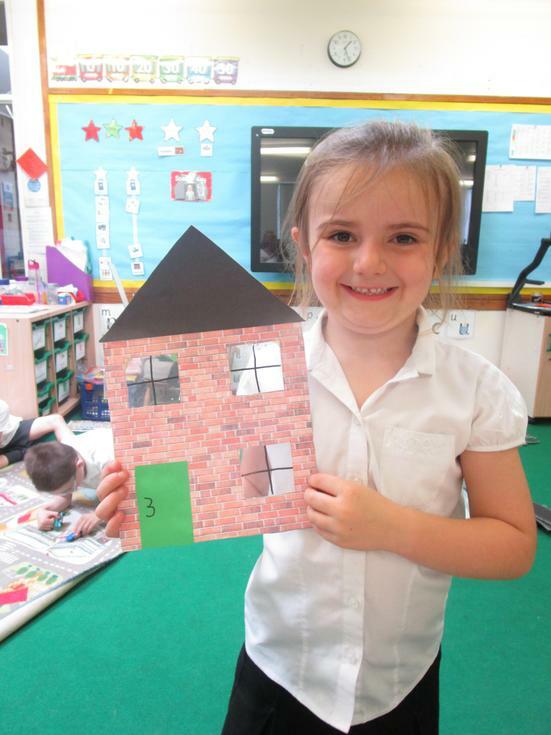 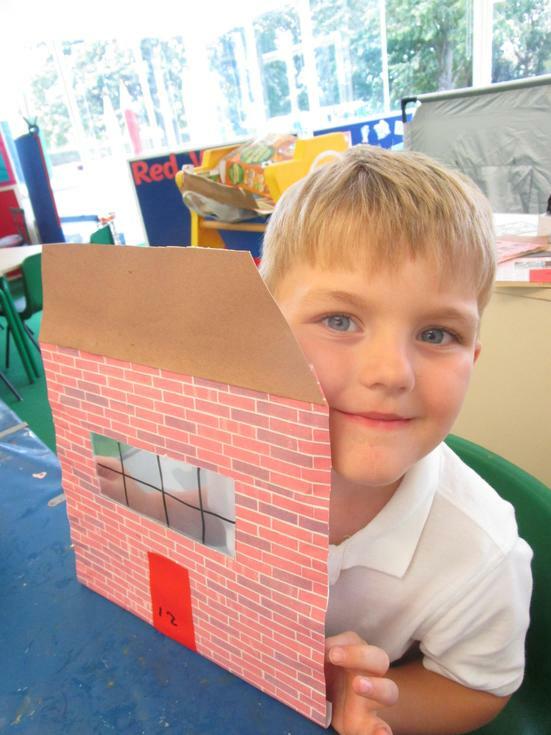 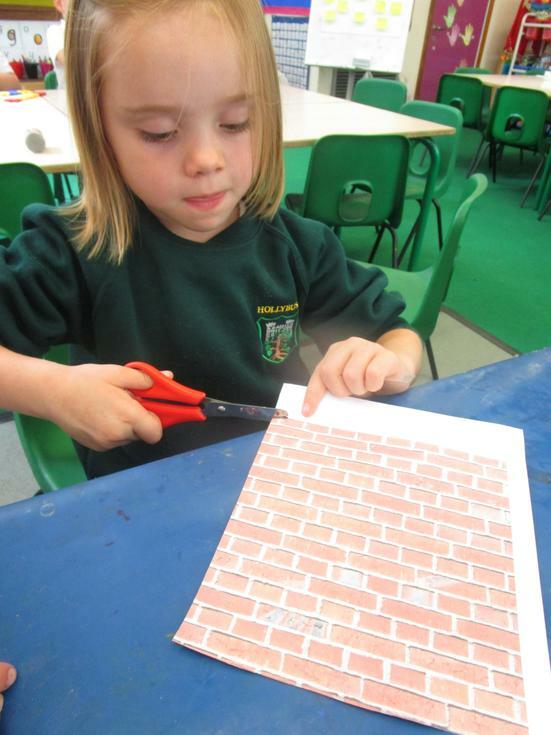 Finally we used different sheet materials including card and transparent plastic to create the front of our houses.